Both of our Ottawa area locations offer an unforgettable bridal experience, but there are a few special touches only Mahogany Carleton Place can offer. 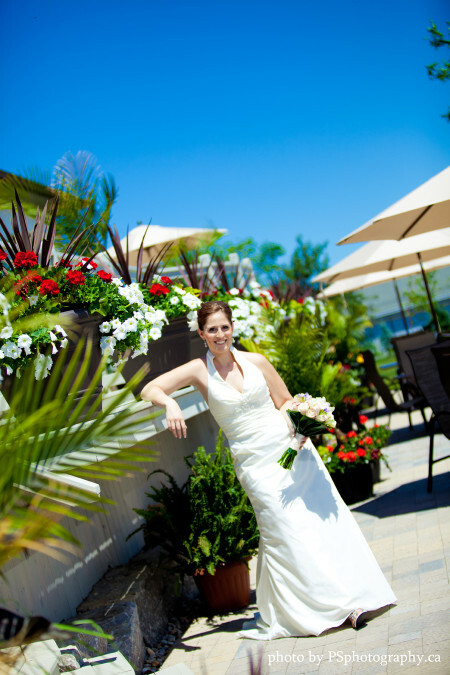 Mahogany Carleton Place is an ideal location to host your nuptials. Our perfectly manicured grounds boast seasonal flowers and greenery, canopied patios and a sparkling quarry with active fountain. The rolling landscape offers couples, their guests and photographers unique opportunities for capturing the moment. Mahogany Salon and Spa Carleton Place is situated on 4.5 acres of pristine property surrounding a natural quarry just twenty minutes west of Ottawa. Here we can host wedding celebrations of up to 225 guests comfortably. In order to focus all of our attention on your special day, we host only one on-site wedding per weekend from the end of May through to Thanksgiving. We have partnered with local merchants who we feel provide exemplary catering, music, equipment, linens and décor. Tried and tested, we are confident that their services will meet the high quality standards we set for your event. Our Carleton Place facility is designed to accommodate these vendors with easy access to power and necessary facilities without interrupting the flow of your seamless day. Our fully furnished bridal suite was created to serve as an oasis for brides and their parties on the big day. The room includes a private entrance and washroom, and is the perfect spot to prepare for the wedding in comfort and relaxation. Speak with your Bridal Coordinator for details and pricing. The bridal suite is available in Carleton Place location only.